The Esquire Network (official slogan: “Another Channel For Men!”) is taking a break from Parks And Recreation reruns and the Car Matchmaker show they advertise during Parks And Recreation reruns for some original scripted programming. The first series, a British mob show called Spotless, will premiere in November, and now Variety is reporting that Esquire’s second scripted series will be an adaptation of the ancient Anglo-Saxon epic Beowulf. 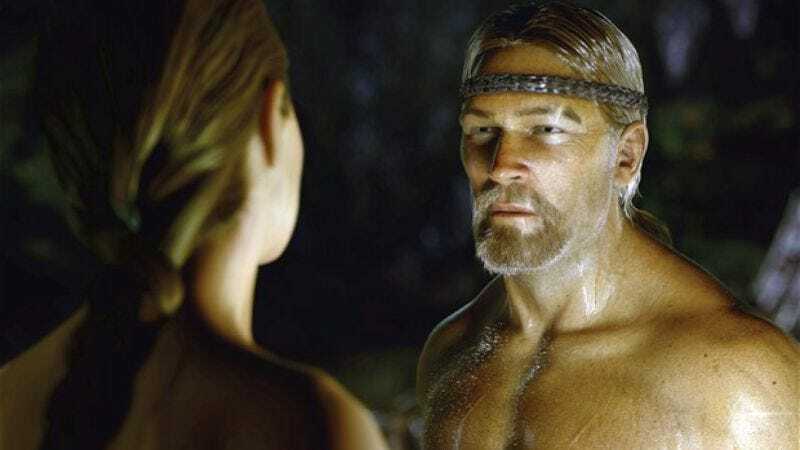 Esquire has already picked up Beowulf for 13 episodes, and the series will star Da Vinci’s Demons’ Kieran Bew as the eponymous hero, along with William Hurt, Joanne Whalley, Ed Spellers, and David Ajala. For anyone who slept through their British Literature classes (or Robert Zemeckis’ animated version from 2007), Beowulf is essentially the story of a great hero who is hired to slay a monster named Grendel, which he does in spectacularly violent fashion. The plot then follows him for several more years, with Beowulf eventually becoming a king, fighting a dragon, and then (spoiler alert) getting killed by the dragon. Esquire’s Matt Hanna says his network’s version of Beowulf will be a “re-imagining” of the story that combines Game Of Thrones with Lord Of The Rings—despite the fact that the original predates both of those by about a thousand years, and they’re both pretty similar.